Black Hat SEO is used to describe a combination of tricks and gimmicks by individuals who seek to gain the attention of search engines so their website can be granted a number one placement on a search engine’s list. It consists of methods than can be compared to the idea of cheat codes used to win video games except once an individual gets caught they are heavily penalized. The type of users that usually resort to a Black Hat SEO are computer hackers or virus creators. And these types of people or this type of behavior is disapproved by many. This method involves using a specific keyword multiple times throughout the content of a website, and the keywords used may or may not relate to the topic of information provided. For website owners, this behavior ruins credibility, authenticity and the use of potential buyers or customers who may view the webpage as a scam or one that is questionable and untrustworthy. Being in the top ranking of a search engine was so popular years ago that website owners did anything to get there like create invisible linked texts on their websites. The invisible text purpose was established to appeal to the system design of search engine through white texted links on a white background. These links were considered invisible to user-end visitors and helped in the ranking of webpages. 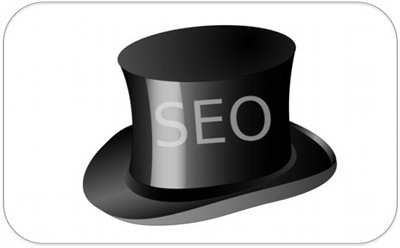 Do you need help with White Hat SEO? Clickworker offers unique SEO texts! One instant way to gain a Black Hat SEO penalty is to use a paid link to get more users to visit a webpage. This technique is a scheme and absolutely forbidden on search engines like Google. Some examples of link schemes are sponsored links, links placed in articles, comments, photos or hidden text in HTML code. Sneaky redirects consist of falsified webpage descriptions. When a user searches a keyword they rely on information provided by search engine to determine what webpage to visit. Now if a website owner provides misguided information to gain clicks and viewers, a visitor becomes fooled into thinking they found a credible webpage. This in turn creates an unhappy relationship between the search engine and its customers, so you can imagine how much penalties one would face on their website. All of these different SEO techniques listed above are unacceptable on many search engine platforms, and most individuals who utilize it are those looking for high returns in their business model. Because, truly, they all result in penalties, such as being banned or losing sales, credibility and integrity. Ultimately, there is no long-term successful Black Hat SEO technique that keeps a webpage in the top ranking of a search engine for a long time. The only benefit here would be to use it in the sense of marketing or an advertisement, because once a website reaches the top it will be most likely reviewed or analyzed quicker for any penalties. So unless a website owner is trying to promote something quickly, it isn’t recommended to try any of these techniques listed.